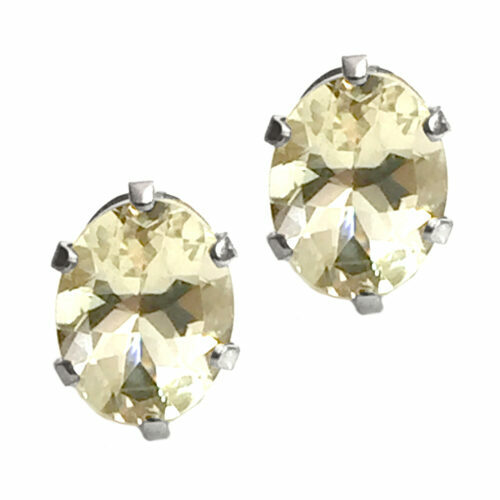 Beautiful pastel yellow labradorites earrings calmly glow in a classic six-prong setting. Gemstones: 7mm x 9mm oval faceted laboradites. Approximately 3.00 carats total weight.